Covering Six Core Social Competencies, “Miss Priss” inspires young women to improve their social and personal presentation while building self-confidence to minimize social awkwardness in unfamiliar environments. 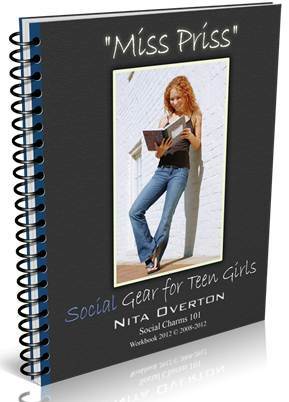 Miss Priss is a interactive workbook designed to develop positive social skills in teen girls. Covering Six Core Social Competencies, “Miss Priss” inspires young women to improve their social and personal presentation while also building self-confidence to minimize social awkwardness in unfamiliar environments.